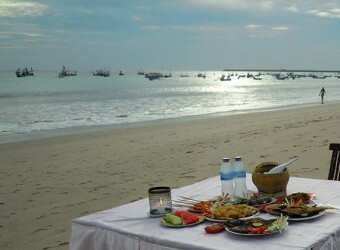 Restaurant Furama Bumbu Bali is located at north of Jimbaran, near the airport. If you want to try many kinds of seafood, it is nice choice to eat in this restaurant.They cook seafood in two ways, grill and fry. you can choose any dish as you like. At dinner time, the band will make you enjoy with romantic play of music.